I’d like to think that if Santa had a best dressed list I’d make the cut. I’ve been pretty nice in the style department. No doubt, in part thanks to being a Zappos Style influencer. All year long they’ve been keeping me on point and on my best dressed behavior leading up to the holiday season. It still amazes me how people are surprised to learn that that Zappos sells more than just shoes. Every time I hear that I look at them in shock and run into my whole spiel of how amazing the online retailer is. And trust me, I’m not just saying that because I’m one of their influencers. I’ve discovered some pretty amazing brands on Zappos-many of which I’d never heard of before and now can live without in my kloset. Their range of fashion and apparel is insanely ridiculous. I can’t tell you how many times I’ve lost track of time surfing the site, loading my cart up beyond my budget with amazing finds. The option are endless. That’s why I love their curated style room and always point newbies there. 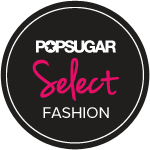 It’s a one stop shop for the latest designs from contemporary, classic and designer fashion brands. It’s a great way to narrow down options and point shoppers in the most stylish directions. It’s like shopping a look book. It’s how I found this uber kute Sam Edelman dress ( who knew he made clothes) and OTK boots. Speaking of these boots… As a girl with large calves can we talk about how hard it is to find a pair of OTK boots that fit? ridiculously impossible, especially if you’re trying to avoid that dreaded stretch fabric in the back that resembles an accordion. Not these, they lace up in the back for an added unique feature. That feeling girls with big calves get when they find a pair of boots that slide on and actually fit over their knee. Like I said Zappos Style Room always keeps me on point. I’m also relying on Zappos for all my last minute holiday shopping. They promises fast, free shipping and returns, 365 days a year. They’re customer service is top notch. Once, when they didn’t have my size in a particular shoe, they helped me find it at another retailer. How ridiculously helpful is that? I love them. Seriously, sometimes I call the toll free number just to hear the joke of the day. Yes. I’m cheesy like that but clearly I’m not the only one if there is a joke of the day. But I digress, seriously the customer service is on point. During the holiday season if you order by 1pm you get free 1 day business shipping. It doesn’t get any better than that for all the procrastinator like me.